Listeriosis is a food-borne infection or illness which is caused by bacterium Listeria monocytogenes. Healthy people usually experience minor to no symptoms if and when exposed to bacteria. Listeriosis affects people with compromised immune systems, especially the elderly, pregnant females and their foetus and new-borns. Listeria bacteria are not contagious, and except for pregnant women and their foetus or new-born, there is no direct transfer of Listeria from human to human.Foods that have been associated with Listeria outbreaks throughout the world are many, including soft cheeses, yoghurt, apples, smoked seafood, deli meats, hot dogs, fruits, and vegetables. In case of spread of the bacteria to the brain, a neurologist is recommended. Listeria infection usually gets cleared on its own in about a week or so in a majority of individuals. However, patients which are at increased risk like the elderly and pregnant women, as mentioned above, have to be given an immediate IV antibiotic treatment to prevent, halt, or slow the development of a more severe disease. Early effective antibiotic treatment of pregnant women is of utmost importance, as it may be lifesaving for the foetus. The more severe the infection, the longer antibiotic treatment it takes to clear. For example, meningitis is treated for three weeks while brain abscesses are treated for six weeks. Doctors recommend an infectious-disease consultant be involved, and if the patient is pregnant, her obstetrician and a paediatric specialist should help manage the treatment plan, as this infection involves many systems of the body. Raw meats such as beef and poultry should be cooked thoroughly before consumption. Raw vegetables should be washed thoroughly before consumption by scrubbing them with a clean produce brush in uncontaminated running water. Uncooked meats should be kept separate from vegetables and from cooked foods as well as ready-to-eat foods. Unpasteurized orraw milk and foods made from unpasteurized or raw milk should be avoided. Hands, knives, and cutting boards should be washed after handling uncooked foods. Perishable and ready-to-eat foods should be consumed as soon as possible. Listeriosis requires proper care by a number of health specialists and doctors, therefore it is advised to visit a super-specialty hospital for its treatment. 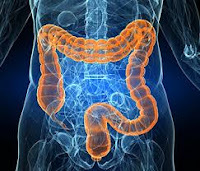 You can find the best gastroenterologists in Gurgaon and Delhi NCR, as well as the leading neurologists in Gurgaon and Delhi NCR, for the treatment of symptoms. There are such hospitals in Patna too, as well as a hospital in Darbhanga in Bihar.